When choosing a new TV antenna for your home there are various considerations you need to make. You first need to establish whether you want an antenna for indoors or outdoors. You also need to find out which channels you can access from your location. The best way to do this is to find out where your broadcasting towers are. You can do so with an online tool by simply entering your address. 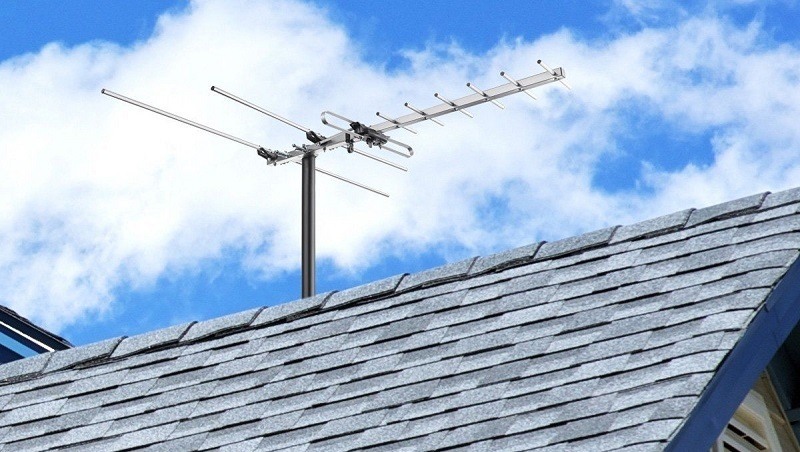 If you want an outdoor antenna, you have to consider whether it will be placed in your attic or on your roof. If it’s going in your attic, you may find that the signal isn’t as good. Additionally, consider investing in an antenna that has both UHF and VHF capabilities. Last but not least, think about the height of the antenna. As the height directly impacts the range, you should opt for a model that can lessen interference and boost the reception you get in your home. With all the above in mind, we’d like to introduce you the Mediasonic HOMEWORX HDTV Outdoor Antenna because it is not only affordable but also a favorite among hundreds of customers across the world. The Mediasonic HOMEWORX HDTV Outdoor Antenna is an incredible product that has multiple functionalities and capabilities, one of its most prominent ones being the fact that it can receive both VHF and UHF HD channels. Because it is optimized for both VHF 174-230MHz, 4 - 7 dB and UHF 470-862MHz, 7 - 12 dB, you’ll be able to enjoy a huge range of high-definition channels from the comforts of your home. Additionally, this Mediasonic model uses advance signal reception technology meaning that it is designed to receive the maximum number of channels in your area. Made of durable materials, the Mediasonic HOMEWORX HDTV Outdoor Antenna can take on even the harshest of weather conditions. With this in mind, it is made to stand the test of time and stick with you for the foreseeable future whether you live in an area with heavy rains or even snow. The antenna also comes with a weatherproof F connector cover. It comes with 9 elements and has an antenna of 810mm or just under 32 inches long. The extra long antenna will provide you with the best quality image and thanks to the fact that it supports 1080P HDTV broadcast, you’ll be sure to benefit from a crisp image everytime you want to watch a film. While the mounting pole is not included, it can be purchased separately on Amazon with the search terms B00P20CD3K or B00P20CCZY. The model does come with a user manual for quick and easy installation. The Mediasonic HOMEWORX HDTV Outdoor Antenna comes in a compact design making it perfect for homes of all sizes. And, if all the above isn’t enough, this new model comes with a long range reception of up to a whopping 80 miles. Of the numerous customer reviews, many love how easy the Mediasonic HOMEWORX HDTV Outdoor Antenna is to install. Despite not coming with the mounting pole, there have been reports of people placing it on a piece of PVC tubing with absolutely no problems whatsoever. Additionally, folks rave about the quality of the picture they receive, with many saying they live in excess of 35 miles from their nearest broadcasting tower. Despite this, their television is even more crystal clear than with the cable they had before. Not only this, customers in the United States reported receiving great connection to over 30 stations with more than 160 channels. This includes all UHF stations and all VHF high-definition stations apart from two. Customers love the fact that with this antenna they can enjoy their favorite television programs for free. Aside from the fact that the antenna itself is very affordable, folks have reported saving in excess of $100 a month with it by cutting their cable. With great online reviews, it is no surprise that the Mediasonic HOMEWORX HDTV Outdoor Antenna is making the headlines when it comes to being one of the best television antennas available at the moment. Despite the fact that the majority of customers absolutely love their Mediasonic HOMEWORX HDTV Outdoor Antenna, a few others were not quite as impressed with their purchase. Of the less flattering reviews, some were not as happy with the instructions manual saying that they receive barely any information on how to best place the antenna. Additionally, customers have reported needing a booster to get the channels they want. While the majority of folks were really happy with the reception and quality of the image in their homes with the Mediasonic HOMEWORX HDTV Outdoor Antenna, others say that even only being 65 miles from the nearest broadcasting tower they do not get a good signal. Last but not least, it would be nice if Mediasonic provided the mounting pole included. Also, the manufacturer does not provide any cables. Despite the above comments, the majority of customers were extremely happy with their purchase and they were also able to mount their antenna on other materials. If you believe the Mediasonic HOMEWORX HDTV Outdoor Antenna is the one for you, we recommend you head over to Amazon to make your purchase. While you can buy this model from other online retailers, Amazon offers the best price of just under $28. Plus, you’ll benefit from shipping straight to your doorstep depending on your location. With an ultra-compact design, the fact that it supports both UHF and VHF frequencies as well as 1080P HDTV broadcast, the Mediasonic HOMEWORX HDTV Outdoor Antenna is among the best value antennas on the market today. Not only this, it has one of the longest ranges of 80 miles which has been tried and tested by just under 300 people across the world. With this in mind, this Mediasonic model gets our seal of approval as one of the best of its kind.